In 1986, a NASA employee had a horrifying encounter with a winged, jet-black, malevolent monstrosity… an encounter that would haunt him for the rest of his life. On a blustery evening sometime in 1986, Frank Shaw — a NASA archivist at Houston’s Johnson Space Center — claimed to have had a terrifying run in with a creature that seemed to hail from BEYOND MYTHOLOGY. While information regarding this case is admittedly sparse, Shaw’s daughter, Desiree, would eventually reveal the details of this mysterious run in to author NICK REDFERN in 2004. Desiree testified that she first realized that something was dreadfully wrong when her father returned home late one night after working at the space center. While neither Desiree, nor her mother, were particularly alarmed by Shaw’s tardiness — as he often was required to work into the wee hours — they were both dismayed by his alarmingly apprehensive demeanor. The pair attempted to comfort Shaw, who was eventually able to compose himself enough to regale them with a terrifying tale of his brush with the unknown. According to Shaw, he was walking to his car at the end of his shift when he happened to glance up and see a ghastly black, GARGOYLE-like figure perched ominously on the edge of one of the Space Center’s buildings. 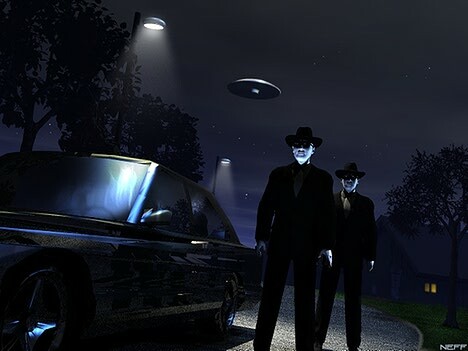 Shaw claimed that he was frozen in horror at the sight of this astounding apparition, which, according to his description, was a jet-black humanoid, that seemed to have a large “cape” draped across its shoulders. As if that weren’t bizarre enough, he claimed that he saw two massive, bat-like wing sticking out of either side of the fabric — or, perhaps, wrinkled flesh — of what he perceived to be a cape. 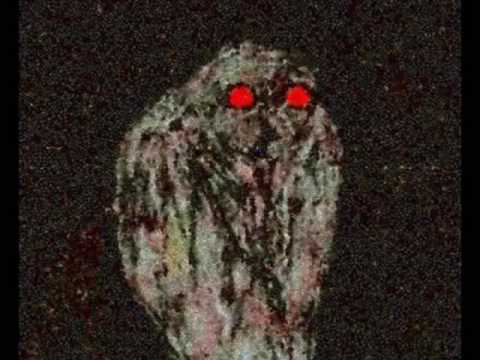 This description seems to bear at least a passing resemblance not only to the notorious MOTHMAN, but also to the OWLMAN OF CORNWALL, both of which are said to be winged, humanoid creatures, which illicit an irrational fear in those who witness them. There is a chance that it may also be associated with the aped-faced AVIAN ANOMALY known colloquially as the BIG BIRD, which terrified the residents of South Texas’ Rio Grande Valley just a decade previously. 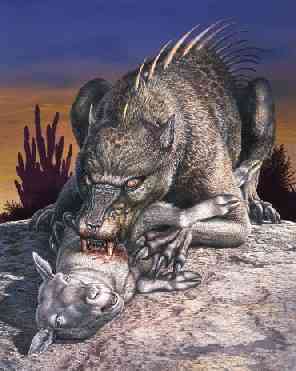 Shaw then told his awestruck family that not only had he seen this creature, but it had stared directly down at him. Shaw would later assert that he believed that this being actually seemed to be savoring the fact that it had managed to inspire such terror in the archivist. How Shaw came to this conclusion was not fully explained. It was at this point that the “gargoyle” seemed to unfurl its wings, which Shaw stated made a “crackling” noise as it took flight in the powerful, howling gusts. The sound of the crackling wings seemed to snap Shaw out of his stupor and he turned and sprinted toward his vehicle. In what must have been the longest moments of his life, Shaw fumbled with his keys, unlocked the car door, dove inside, started the engine and drove into the blackness of the night, too terrified to even look back to see if he was being pursued by this winged, ebony atrocity. Despite what must have been some initial skepticism, Shaw’s family rallied behind their patriarch, believing that his harrowing tale was not merely a flight of fancy, but the simple truth. Nevertheless, both Desiree and her mother admonished Shaw not to tell his superiors about this incident, lest his credibility — or, worse yet, his sanity — be called into question. Shaw agreed with his daughter and wife, but as the days turned into weeks he was unable to get the memory of his close encounter with this flying fiend out of his mind. Finally Shaw decided to screw up his courage and confide in his immediate supervisor. Much to Shaw’s delight he was not met with incredulity or mockery, but instead was informed that he was not the first Johnson Space Center employee to have seen this enigmatic entity skulking in the isolated areas of station. In fact, Shaw’s boss revealed that a secret file had been opened on the creature just a few months prior to Shaw’s sighting. The supervisor stated that the file had been created in response to the gruesome deaths of two of the bases German Sheppards. Apparently the corpses of the hideously mutilated and exsanguinated canines had been discovered in exactly the same area where Shaw had seen the gargoyle. 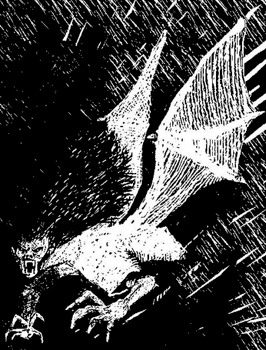 It’s worth noting that stories of bat-winged beasts sucking the blood from their victims smacks not only of classic reports of VAMPIRES, but also of South America’s most infamous cryptid, the CHUPACABRA. 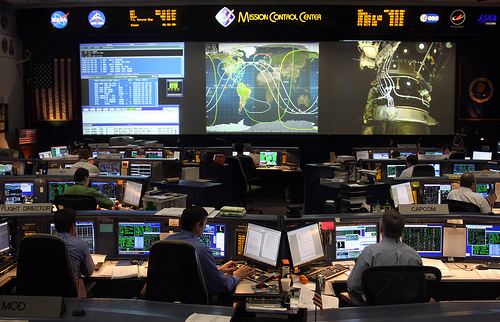 These NASA “security people” made it clear to Shaw that it would be in his and his family’s best interest to refrain from telling his bizarre story to anyone else. This might well explain why Desiree waited nearly 18 years to tell her father’s tale. 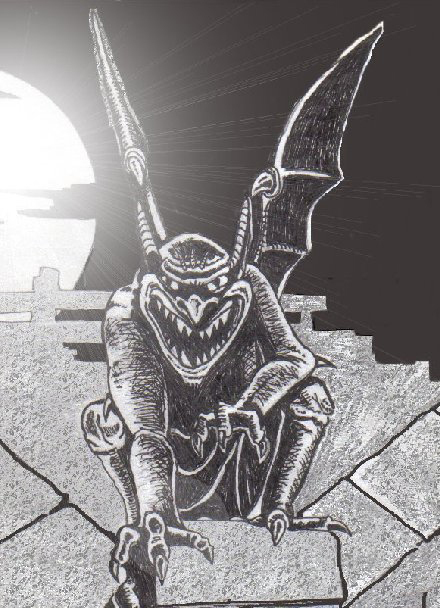 While there have been no new “public” reports of this entity in over two and a half decades — which may be due, in no small part, to NASA’s policy of silence — there seems to be a fairly good chance that this bloodthirsty gargoyle may well be lurking in the shadows of the Johnson Space Center, waiting to swoop down and strike again.